This is an introductory course in Macroeconomics for students who have no prior background in Economics. The approach used will be mostly non-quantitative, but graphical analysis will be emphasized. Students will learn basic macroeconomic concepts on the aggregate demand and aggregate supply of outputs in the general economy, economic growth and unemployment, and the role of money and banking institutions in affecting the economy’s price level and inflation. Students will also study various fiscal and monetary policies used by the government to stabilize economic fluctuations. The analytical tools learnt in this course will be useful in understanding and examining many real world economic problems affecting the general economy. This course assumes that students have a working knowledge of High School Algebra. Discuss major macroeconomic issues such as: economic growth, unemployment and inflation. Define and measure GDP, and conduct international comparisons of economic growth. Calculate unemployment and explain changes over the business cycle. Construct the consumer price index (CPI) and explain its relation to inflation. Identify the components of the aggregate demand and aggregate supply, and discuss the effects of their fluctuations on the macroeconomic equilibrium. Explain the Classical Model: including the features of the general economy at full employment. 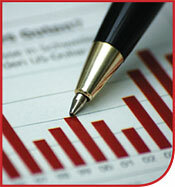 Identify and discuss the causes of economic growth, and the measurement of economic growth. Defend growth theories – including: classical growth theory, neoclassical growth theory, new growth theory. Examine the role of money and banking institutions, and the role of the Federal Reserve in controlling money supply. Calculate the demand for money, and determine market interest rates using the quantity theory of money. Explain the causes of inflation – demand-pull and cost-push theories, and their effects on inflation. Use a Phillips curve to explain the relation between inflation and unemployment in the short run and long run. Use Fiscal Policy doctrine to explain the federal budget, and the effects of the income tax on markets and governmental budgets. Use Fiscal Policy to discuss the effects of tax on savings and investments, generational effects of fiscal policy. Use Monetary Policy to explain the various monetary instruments that the Fed uses to stabilize the price level. Challenge and defend the credibility of monetary policy, the McCallum Rule and the Taylor Rule.